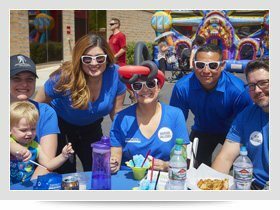 On April 9, 2017, The Husband and Wife Law Team invited all of their clients, neighbors, friends and community members to attend a Spring carnival at their Ahwatukee office location. The weather was beautiful! It was an absolute perfect day to be outside and enjoy the Arizona sunshine. All the guests were greeted with fun swag bags and even custom sunglasses. There were two huge bounce houses and one bungee-run bounce game that both kids and adults could compete on for prizes. 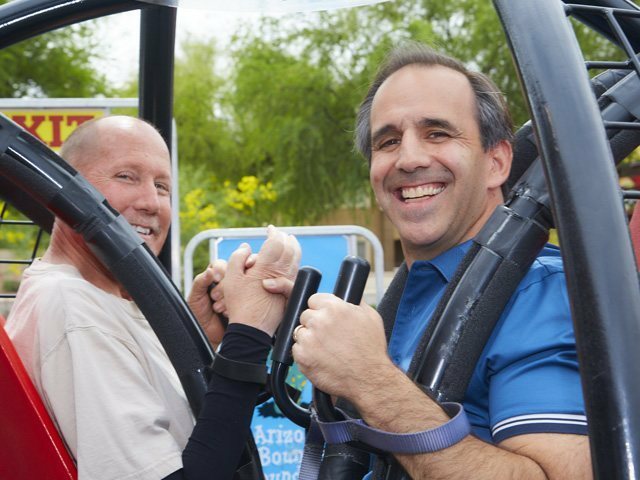 The bungee run was a lot more difficult than it looked! There was a ring toss, balloon-pop and a high-striker game that both kids and adults could play to win prizes such as piggy banks, Starbucks gift certificates or ice cream gift certificates. There was a green screen set up inside of Breyer Law Offices which had everyone lined up for photos throughout the day! With over 20 different backgrounds to choose from - it was definitely entertaining. The DJ rocked the party all afternoon and even did dance contests for prizes every thirty minutes. But that wasn’t all! There were two face-painting, balloon-making clowns that were amazing and a spin cycle carnival ride, which was quite the hit! Of course, there was amazing food too. There were four different food trucks: Cheese, Love & Happiness, Mustache Pretzel, Cactus Corn and Burgers Amore so there was something for everyone to enjoy. It was so great to see all of friends and families enjoying the festivities. One guest that attended said "Thank you for hosting another outstanding event for your clients. The extent you go to show your appreciation is truly extraordinary"! Mark and Alexis Breyer were thrilled to see such a great turnout and enjoyed spending time with everyone there. Mark and Alexis Breyer, The Husband and Wife Law Team are thankful for all of the continued support they have received throughout the past 20 plus years in business. 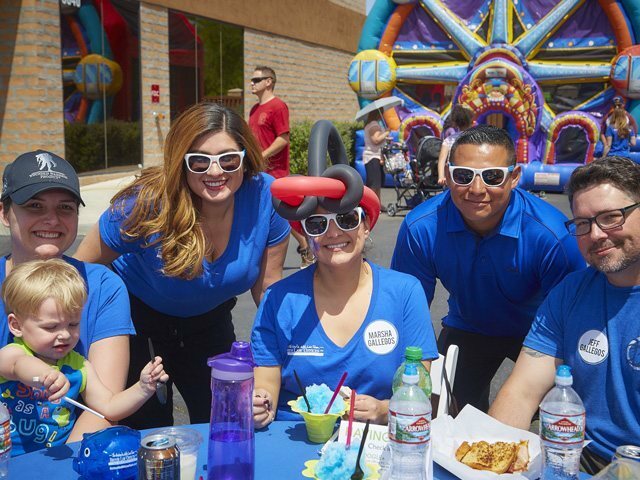 Their continued efforts touch the lives of thousands of Arizona residents every year with all of their different programs such as the teacher appreciation program, sponsoring Motorcycle Safety and Awareness Foundation classes to hosting events such as the Spring Carnival this month. Their message of caring and community support is consistent and it shows! "It’s important to us not just to be the best lawyers that we can be, but also to help our community be the best that is can be," - Mark and Alexis Breyer. Arizona Injury Lawyer Disclaimer: The legal information presented at this site should not be construed to be formal legal advice, nor the formation of a lawyer or attorney client relationship. Any results set forth herein are based upon the facts of that particular case and do not represent a promise or guarantee. 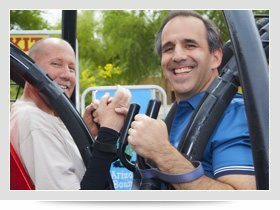 Please contact an Arizona personal injury attorney or Phoenix personal injury lawyer for a consultation on your particular legal matter. This web site is not intended to solicit clients for matters outside of the state of Arizona.